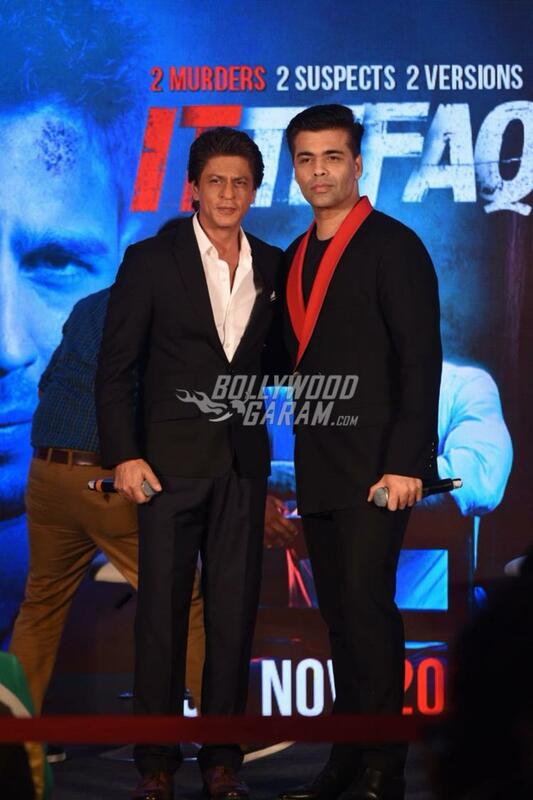 Shah Rukh Khan and Karan Johar have collaborated for the upcoming film, Ittefaq under the banners Red Chillies Entertainment and Dharma Productions. 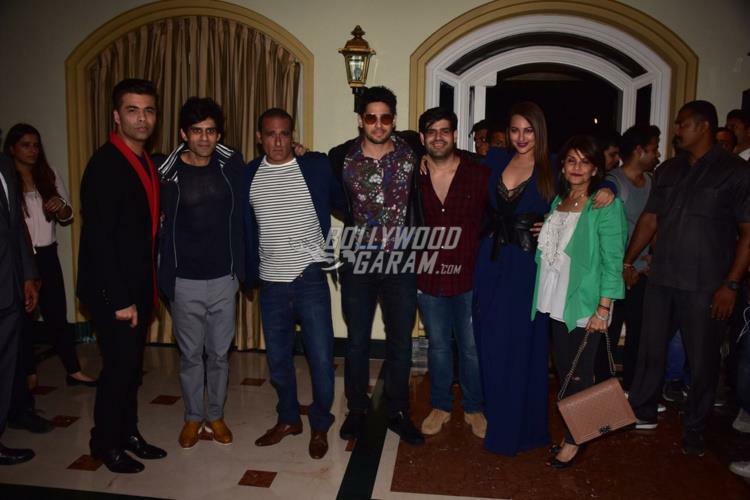 The producers along with the lead actors Sidharth Malhotra, Spnakshi Sinha and Akshaye Khanna hosted a press event in Mumbai on October 30, 2017. The story of the film is about finding the real murderer and Sidharth and Sonakshi become the main suspects. Akshaye will be seen playing the role of a cop who is in search of the truth. 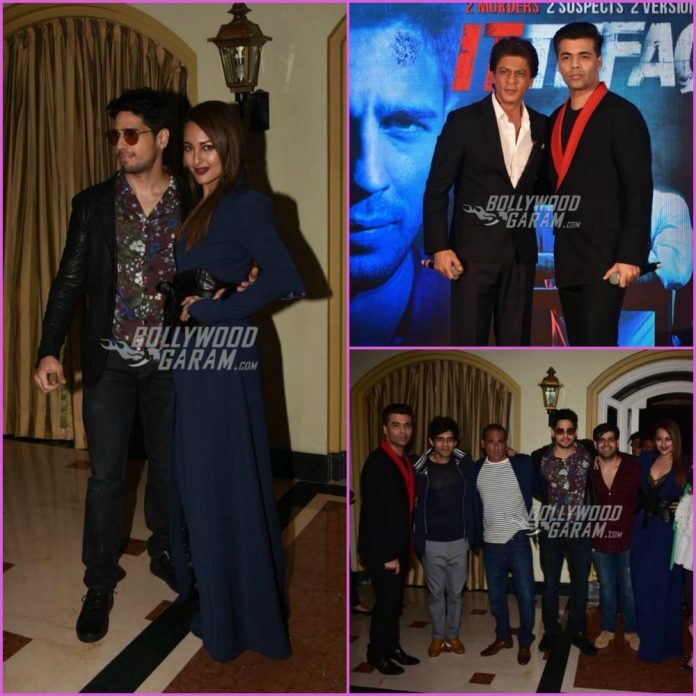 Actor-turned-producer, Shah Rukh joked during the event and said, “I’m the murderer of the film” and added that he comes at the end and that there is a revamped version of the title track of Kaal. The Dilwale actor also clarified that the Abhay Chopra-helmed film is not the remake of the 1969 thriller but is an original flick. 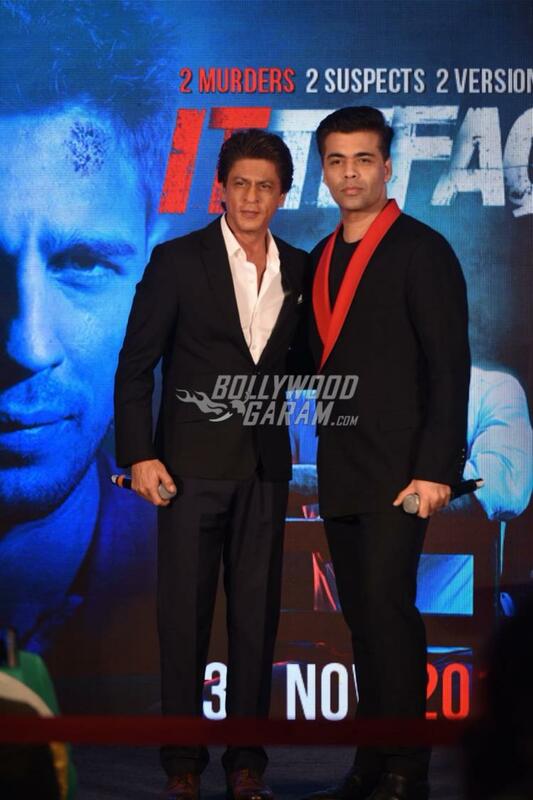 Shah Rukh added that the plot might be similar but has a very different story. Ittefaq is ready to be released in theatres on November 3, 2017. Exclusive photos of lead actors and producers of Ittefaq at the press event!